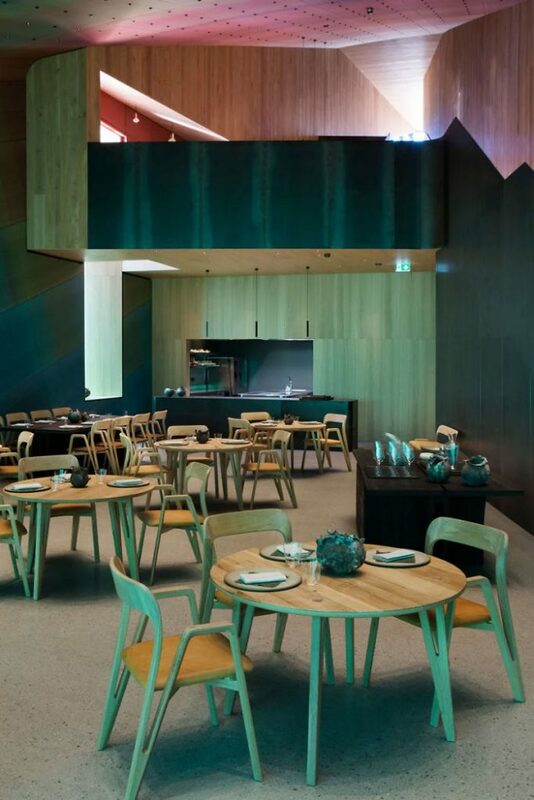 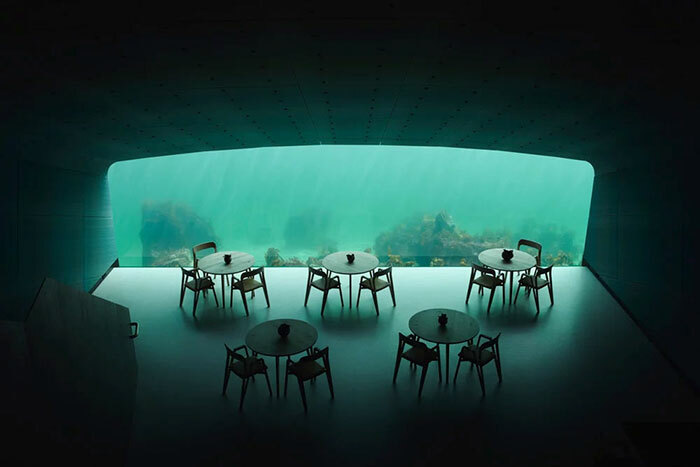 The long-awaited underwater restaurant designed by the Norwegian architectural firm, Snøhetta, is now open to the public. 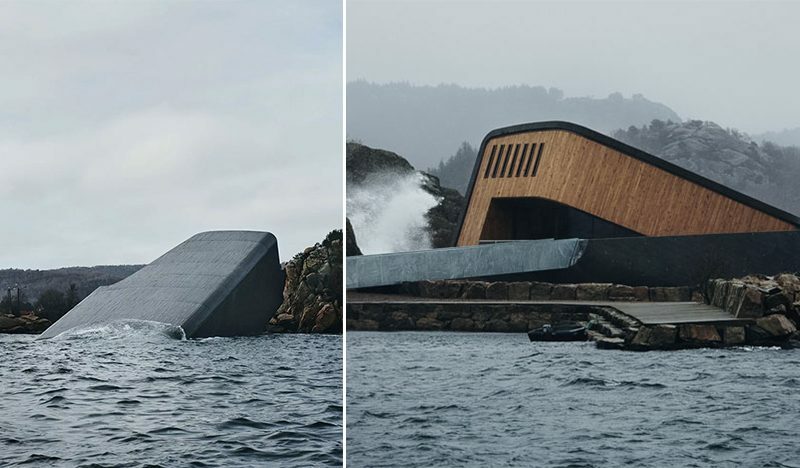 Under, the “world’s largest underwater restaurant” and Europe’s first underwater restaurant plunges from a craggy shoreline in the remote village of Baly, Norway. 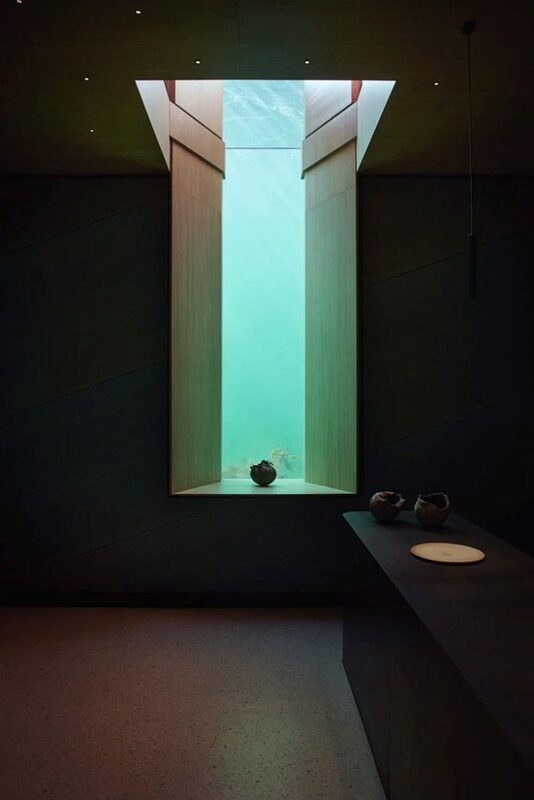 This underwater restaurant resembles a sunken periscope and designed to be as simple as possible. 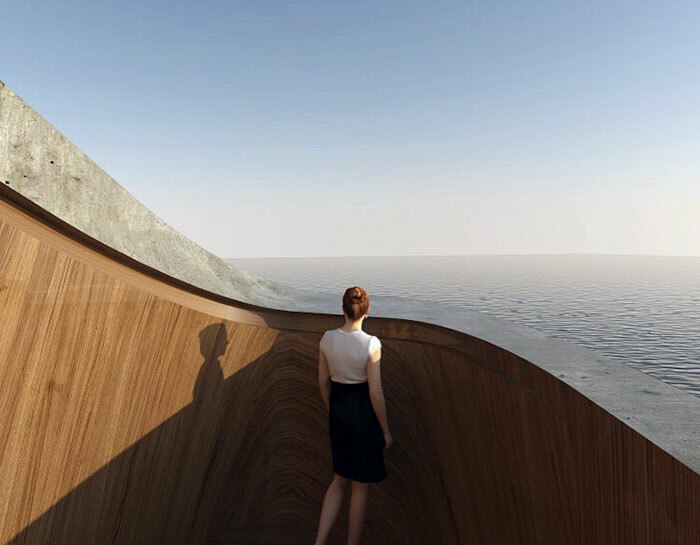 Under is a 34-meter rectangular prism that is slightly submerged under the sea and has a total seating capacity for 100 guests. 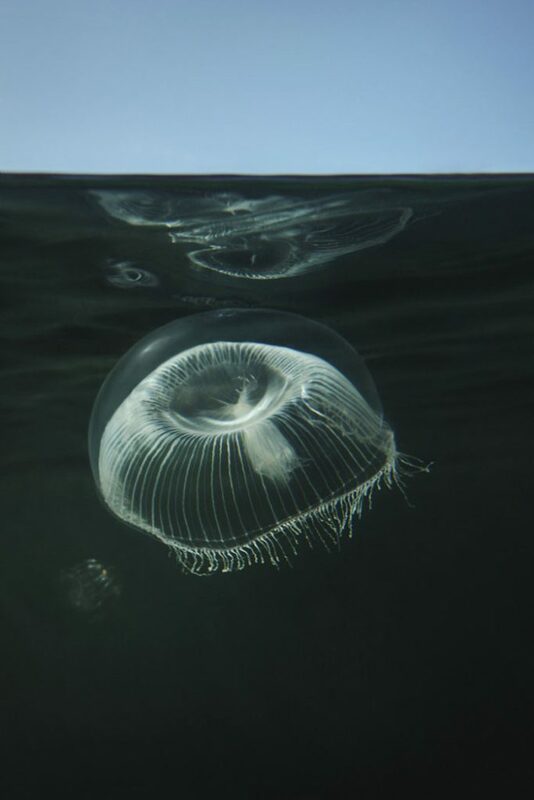 The word ‘under,’ which means both ‘below’ and ‘wonder’ in Norwegian. 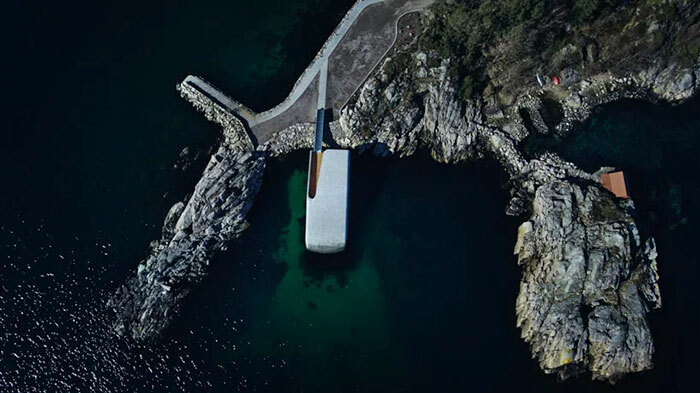 From a distance, the restaurant on Norway’s southern coast looks like a large concrete tube partly submerged in the North Sea. 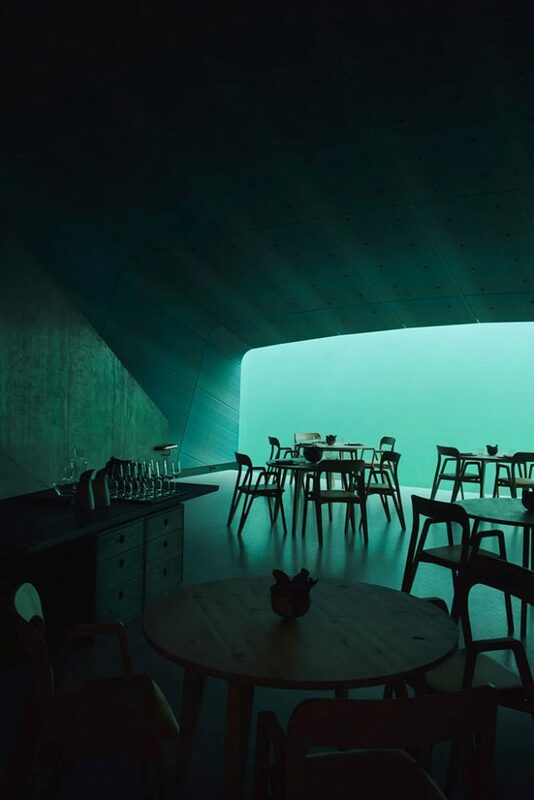 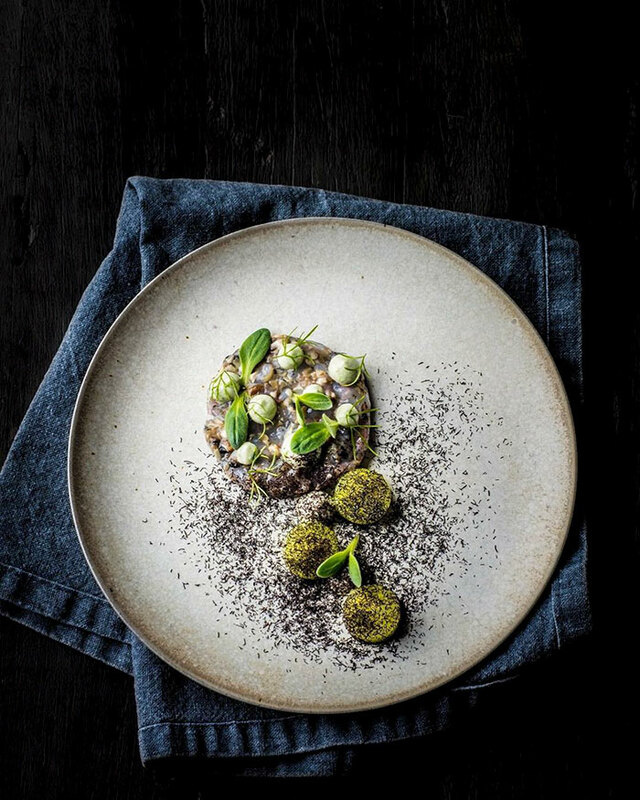 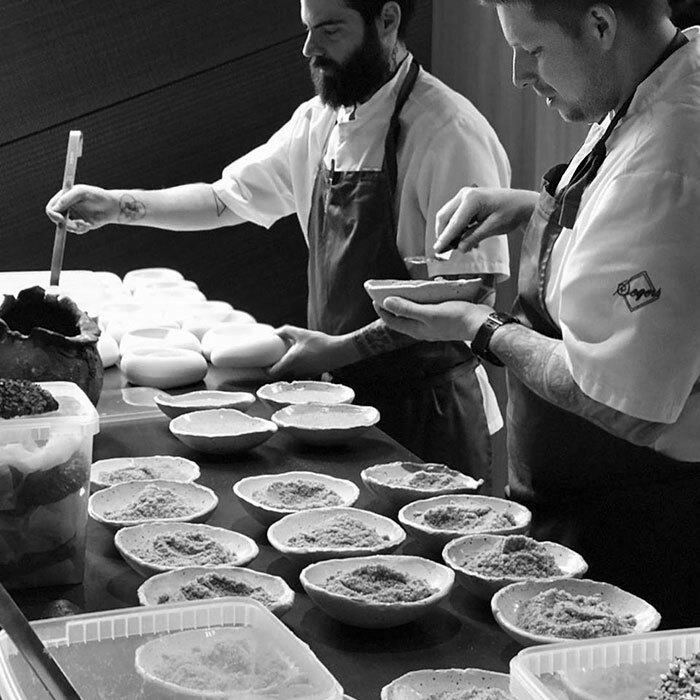 On March 20, the Norwegian architectural firm, Snøhetta has announced on Instagram that Europe’s First Underwater Restaurant opened the doors to its dramatically beautiful hideaway – and it’s like any other fine dining experience on Earth. 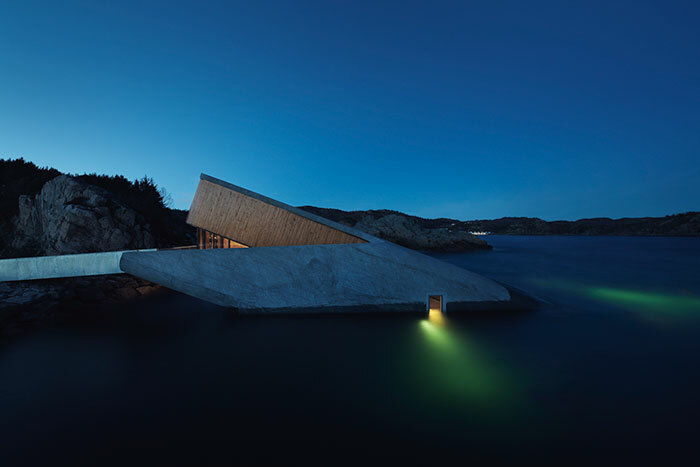 “Today marks the official opening of “Under”, Europe’s first and the world’s biggest underwater restaurant, designed by Snøhetta. 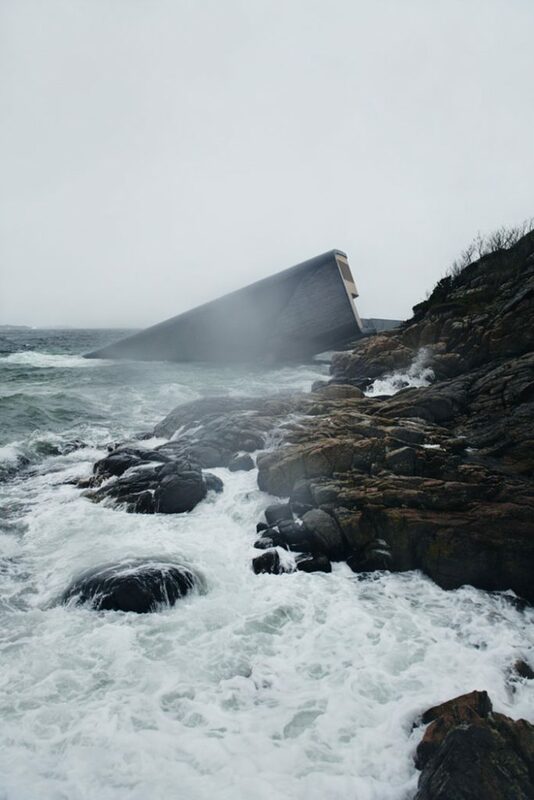 Half-sunken into the sea, the building’s 34-meter long monolithic form breaks the surface of the water to rest directly on the seabed five meters below. 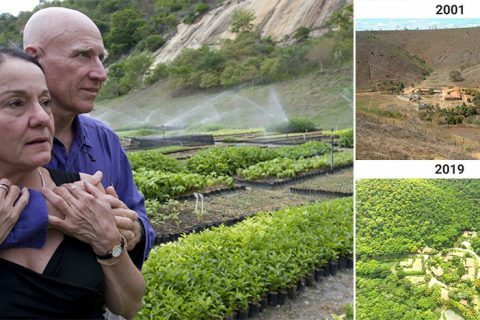 “If the weather is bad, it’s very rough. 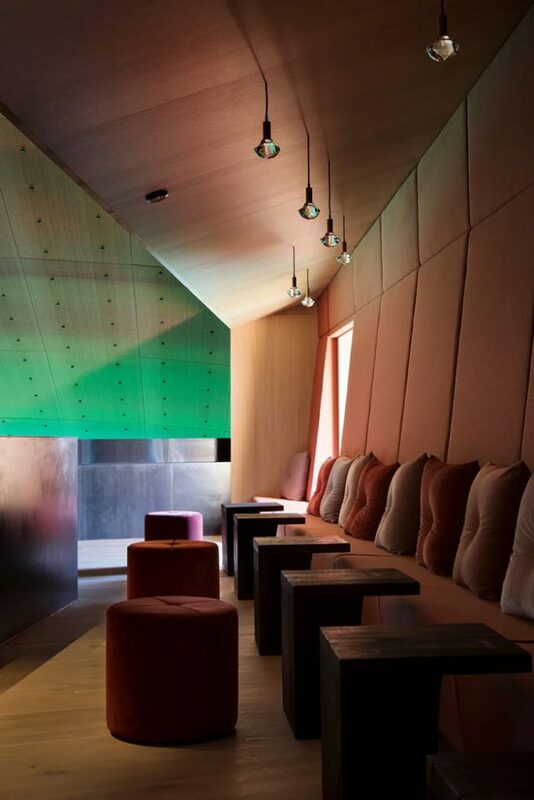 It’s a great experience, and to sit here and be safe, allowing the nature so close into you. 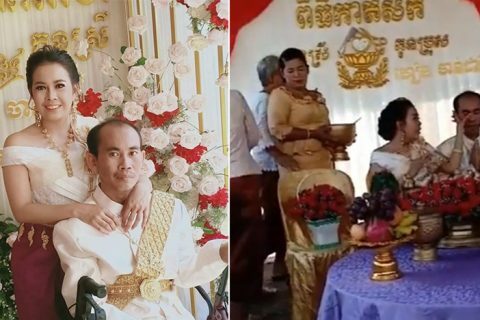 It’s a very romantic and nice experience,” he continued. 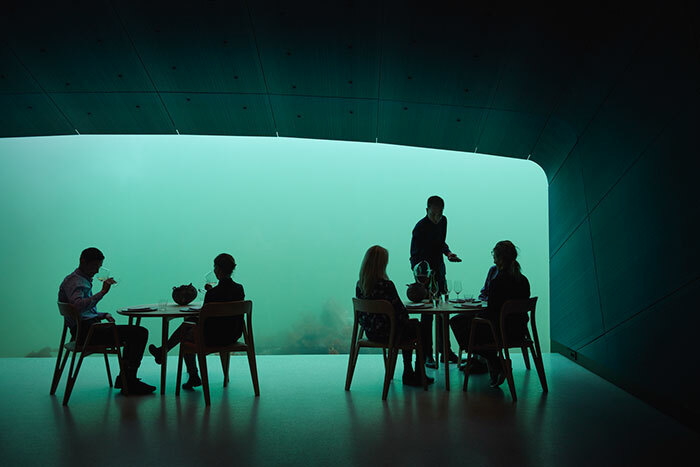 This underwater restaurant not only offers a unique dining experience, but it is also intended to inform the public about the biodiversity of the sea as it will double as a research center for marine biologists.